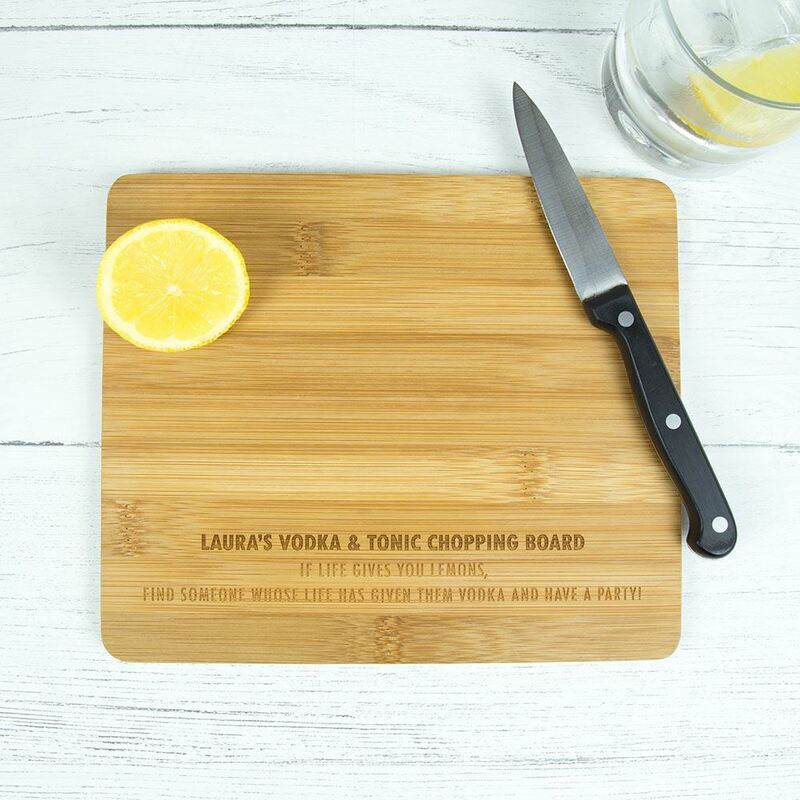 Engraved with your name and with the slogan "if life gives you lemons, find someone whose life has given them Vodka and have a party" it makes the perfect gift for yourself or for a Vodka Tonic lover! 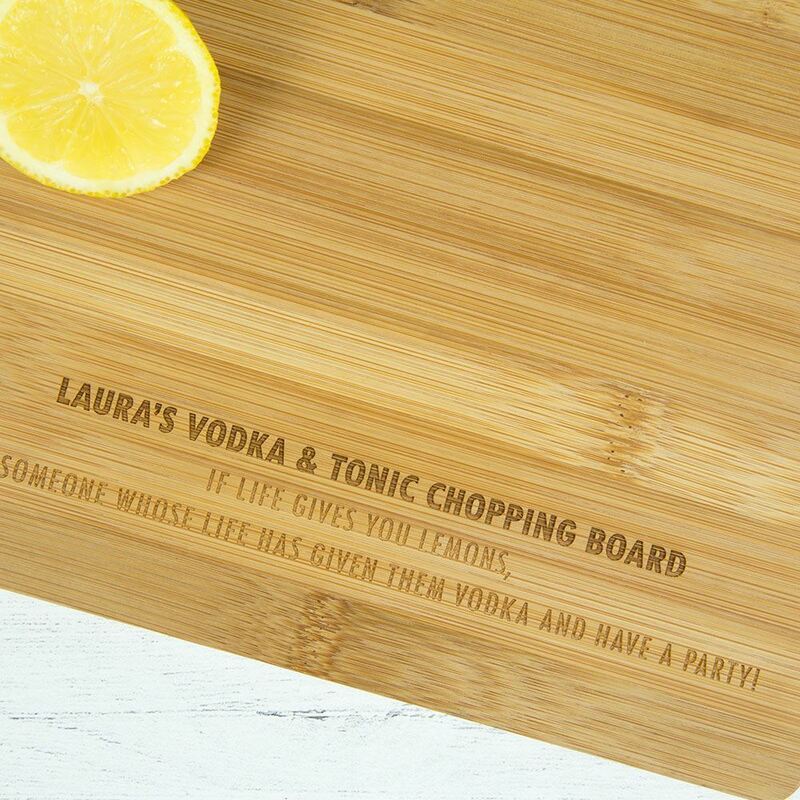 This can also be engraved with a family name, for example "The Smith's Vodka and Tonic Chopping Board". Each chopping board measures 22cm x 18.5cm and is approximately 1cm thick. Please enter the name as you would like it to appear in a message with your order. Alternatively we will contact you after you have ordered.